Searching for a new car loan has never been easier - or faster! GCEFCU has accelerated applying for a loan with our online application process. Click below to start the application process and you'll be shopping for your new or used truck, hybrid, sports car, convertible, crossover or van before you know it! Don’t wait another day to trade in your old, money-guzzling loan for a sleek, affordable one at GCEFCU. The chart below illustrates just how much we could save you on your next car loan. *Source: Bankrate, rates as of 5/3/2018. Rates vary depending on credit score and loan term. For your convenience, we have a short application below to help you get the loan process started. Please only enter the last three digits of your member number. A loan officer will contact you to let you know that your loan is being processed. To apply for a mortgage, click here. To apply for a home equity loan, click here. We will also gladly take your loan application over the phone. In some cases, the entire process can be handled without a visit to the credit union because we can also have you sign your loan documents electronically via e-mail or smart phone. If you want to add a co-borrower, please enter their name. The undersigned hereby authorizes Gulf Coast Educators Federal Credit Union to request a credit report for the purposes of a credit score and report review. The undersigned acknowledges that this will be reported as an inquiry to the credit reporting agencies. By submitting this form, you hereby authorizes Gulf Coast Educators Federal Credit Union to request a credit report for the purposes of a credit score and report review and you further acknowledge that this will be reported as an inquiry to the credit reporting agencies. 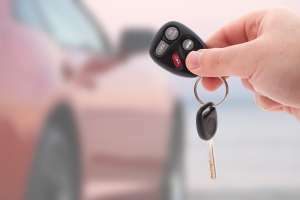 Our Member Auto Center has all the tools you need to find your next vehicle and give you peace of mind knowing you are getting good advice and deals. The Member Auto Center features the ability to search for new and used vehicles, advice on the car buying process and much more. Click here to visit our Member Auto Center website. We have teamed up with Enterprise Car Sales to provide our members with the best deals for certified used vehicles. Enterprise offers “no haggle” used car pricing, and every vehicle sold includes a 12-month/12,000-mile limited powertrain warranty. Click here to visit our Enterprise Car Sales website. AUTO EXAM: AUTO EXAM’S goal is to protect the consumer from buying someone else’s problems. We will give you a written unbiased report identifying any problems such as: Was it maintained? Has it been in an accident? Is the mileage correct? Has it been flood damaged? Are there any mechanical problems? How much is the vehicle really worth? Auto Exam can answer these questions and much more. CARFAX: Order a CARFAX Vehicle History Report... your best protection against buying a used car with costly, hidden problems, including flood damage. CARFAX searches its nationwide database and provides a detailed report in seconds. *APR = Annual Percentage Rate. All rates are subject to change without prior notice. Your actual rate may be higher based on your credit score and the terms of your loan. No other promotional discounts may be applied. Additional requirements may apply. Payment Example: 60 monthly payments of $17.96 for each $1,000.00. borrowed.